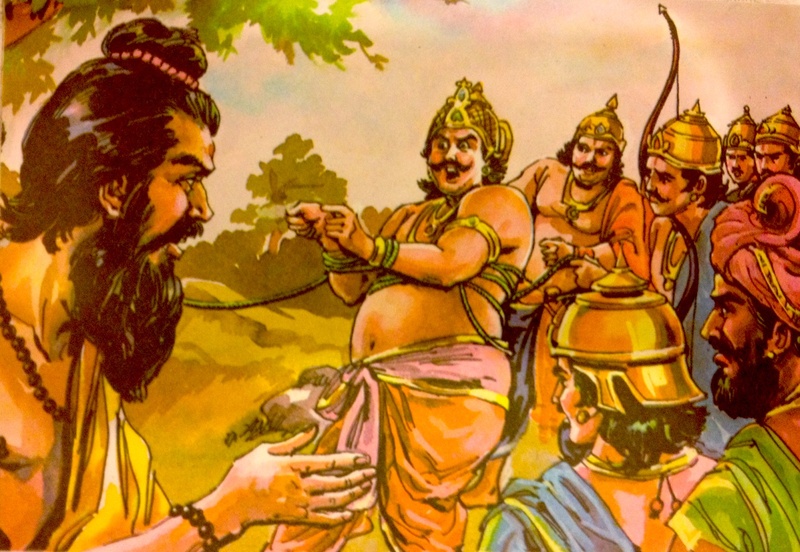 The stories of Mahabharata are not only about kings and gods and demons. It is also a tale of ethics, morality and politics. The needs and conflicts that drive each character are the same that drives us today. The great weapons teacher Drona Acharya was a Brahmin. A Brahmin was supposed to have the noblest of qualities and free of petty politics and trivialities of life. Their main purpose in life was to acquire wisdom and spread knowledge to their pupils. But Drona, had his own axe to grind. He became the royal weapons teacher of the Kuru princes with a single objective in mind. He wanted to take his revenge on Drupada, the King of Panchala, for the insult he had to tolerate in Drupada’s court. We also learn how the Kaurava brothers start planning for their next step to eliminate their arch rivals, the Pandavas.